Imagination stretching elements are present in so many details on the Las Vegas Strip. 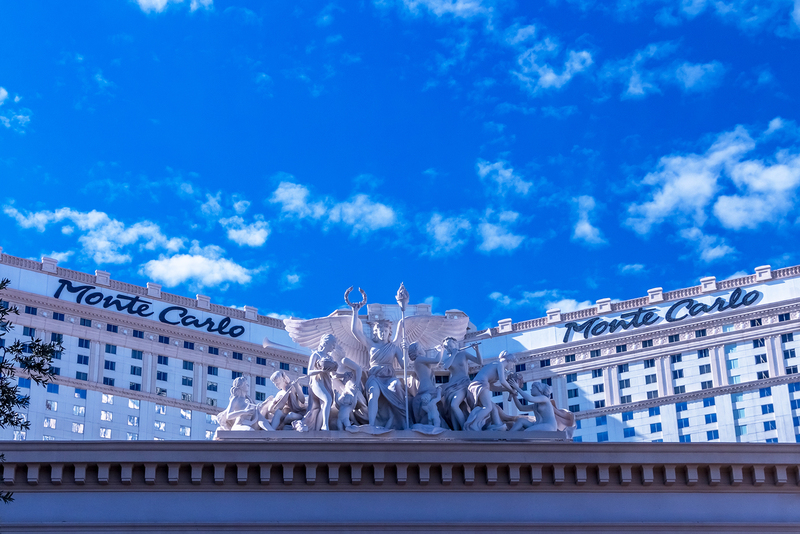 For example, here we have Old European-inspired architecture and sculpture with a French Riviera motif at Monte Carlo Resort and Casino. There is no Mediterranean Sea near this site. The visitors would, however, enjoy a subtropical, hot desert climate that averages 310 days of sunshine. When it’s warm, it’s a pool lifestyle to be certain.